Soma Neuromuscular Integration® is not simply the act of putting parts back together. 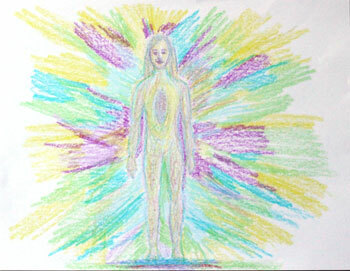 It is the self realization that all aspects of a person are actively alive and participating. Soma practitioners utilize many different approaches within a session to optimize client integration. In this segment we will showcase different elements of the Soma process that clients benefit from and our students will learn to apply. When you change movement and the way a person stands in the world, their whole self-image and behavior begins to shift. We don’t just get the person vertical… we help them find personal meaning. With permission photographs are often used to look at client posture and structure as a baseline before we begin any bodywork. Photos are then taken after completion of the series to assess the changes and improvements that have occurred within the body. 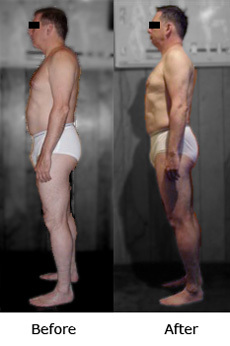 Throughout this page Before & After photos reference the respective beginning body before completing the 11-Session Series and the result of a full Soma Series. Ankle alignment, pelvic tilt/core support, and overall posture are apparent here. Shoulder leveling and mid thigh support/knee alignment have created lift in this body. Lift and improved spinal curves are visible in these photos. Dramatic changes through a Series for this young man with scoliosis. Drawings are a fascinating and unique facet to the Soma process. 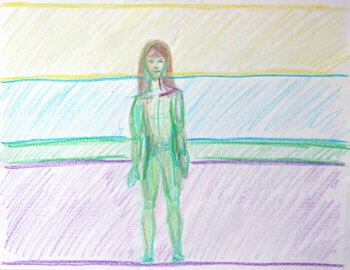 They often help people express sensations, feeling and complex body patterns that otherwise might go unnoticed. They are also a powerful tool to indicate where someone has started and where they have come to upon completion of the Soma Series, similar to photographs. Aspects that cannot be expressed in words, or that may have been forgotten, are given an avenue to be freed within the drawings. Children love the drawings and we give extra attention to them for ages 6-10. Drawings are an excellent way for children to articulate how they feel. They are often invaluable in relating and directing client centered sessions. Simply by looking at our client’s body while standing will often indicate patterns in the fascial and muscular tissue that can be the source of pain, misalignment, loss of energy and efficiency. All of our practitioners are trained to “read” the body’s positions and movements in order to shed light on how to best support positive results in each Soma session. We teach students to view the body not with condemning judgement, but awe, curiosity and appreciation. It is often helpful after a session to revisit newly learned movements and meaningful insights. For this purpose, Soma practitioners may provide clients with a journal to chart their progress and give them a preview of the next Session. Soma’s unique written materials support positively integrating and prolonging the effects of structural integration. Exercises, whether written, movement oriented, or uniquely customized to you may be given to enhance the client’s education and experience. We cannot hope to help improve a body’s range of motion and functioning structure if the movements and behaviors that caused these issues are not also addressed. 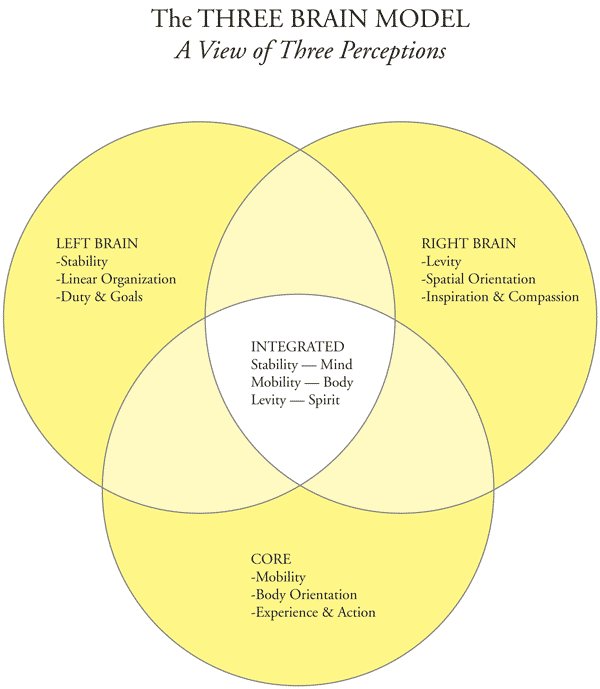 Movement re-education is a key element to changing pain and compensation patterns. Soma’s movement goals are for clients to become self-aware, adaptable and expressive. Examples of movement re-education include education to bring increased awareness to sitting, walking, laying or standing. Soma uses proprietary models to teach all kinds of useful applications for the body/mind, assessment and interrelational skills. Here is one brief example:.